Sen. Dianne Feinstein, D-Calif., after another mass shooting, predictably wasted no time in demanding still more gun control legislation. This week, a killer with a valid ID entered the Washington Navy Yard in southeast D.C., a military facility where 16,000 people — mostly civilians — work. He killed 12 people and wounded several others at the Naval Sea Systems Command headquarters, where 3,000 people work. The suspect, Aaron Alexis, who was killed at the scene, was a 34-year-old former Navy reservist, employed by a military contractor after an honorable discharge. It is unclear which of the three firearms found near his body were brought in by Alexis — or whether he got them from security guards after he shot them. Early reports on the shooting claimed that Alexis used an AR-15 assault rifle, the same weapon used in other mass shootings. Turns out there wasn’t even an AR-15 at the crime scene. Still, advocates call for more restrictions. Alexis, a native New Yorker, had been arrested three times from 2004 to 2010. The first occurred in Seattle, when he shot out the tires on the truck of a construction worker who had reportedly angered Alexis for “disrespecting” and “mocking” him. Alexis told the police he had an anger-fueled “blackout” and could not recall the incident. Alexis’ father told the police that his son had anger management issues and suffered from post-traumatic stress disorder as a result of assisting “as an active participant in rescue attempts” of 9/11. Seattle police booked and jailed Alexis for malicious mischief and according to their paperwork, sent the case to Seattle Municipal Court. But the Seattle City Attorney’s office say they never received a police report, so they never charged Alexis. In August 2008, Alexis was arrested on a charge of disorderly conduct in DeKalb County, Ga. “It appears he might have spent a night in jail,” said DeKalb County Police Chief Cedric Alexander, “but ended up for forgiveness bond on a county ordinance.” The reports did not indicate any weapons were involved, said the chief. Then in 2010, Fort Worth, Texas, police arrested him for shooting his gun through the ceiling of his apartment. The bullet went through the floor above and came within a few feet of a woman living upstairs, according to the police report. Alexis told the police that the gun accidently discharged as he was cleaning it while cooking dinner, but the above-floor neighbor believed Alexis fired intentionally because he had complained to her several times about her making too much noise. Again, no charges filed. And during his four-year military career in the Navy Reserves, he was cited at least eight times for “misconduct,” including multiple unexcused absences and the rather serious offenses of insubordination and disorderly conduct. Did he get a pass from a military not willing to take the trouble to get him discharged under less-than-honorable conditions? How does someone with three arrests, two of which are gun-related, become a military contractor’s employee? How does someone with a military record that includes several citations for “misconduct” pass security background checks, obtain a “secret”-level security clearance, and get hired by a military contractor? Were disqualifying factors overlooked or minimized for fear that Alexis, a black man, would accuse the military of racism? Recall the case of Army Major Nidal Hasan, the Muslim psychiatrist who murdered 13 on Nov. 4, 2009, at the military base in Fort Hood. Colleagues reportedly feared him, thought he had anger issues, and some even heard him express pro-jihadist sentiments. In the months before the murders, intelligence agencies intercepted at least 18 emails between Hasan and al-Qaida recruiter Anwar al-Awlaki, several discussing jihad. Authorities took no action. Did Hasan benefit from a fear an investigation would provoke a charge of bias against Islam? In Los Angeles, ex-LAPD cop Christopher Dorner, a black man, went on a killing spree that resulted in the deaths of five, including Dorner. He wrote and posted on his website an angry “manifesto” that accused the LAPD of racism. Since the LAPD’s stated hiring goal is for a force that “represents the diversity of the city,” the best and most qualified do not necessarily get hired. In Dorner’s case, he became a cop despite run-ins during training at the police academy, including an accusation of an accidental discharge of the police-issued firearm. Did Dorner benefit from the LAPD’s quest for “diversity”? Did political correctness and fear of being accused of “profiling” allow Alexis, Hassan and Dorner to skate through? Finally, the Navy Yard, like Fort Hood, has a no-gun rule. A 1993 military policy change under President Bill Clinton effectively prohibited guns on military bases. Only military police posted at entry or other security points are armed. Rather than a poster child for more gun control, Alexis looks like a case study of how political correctness — in a gun-free zone — can get people killed. Larry Elder is a best-selling author and radio talk-show host. 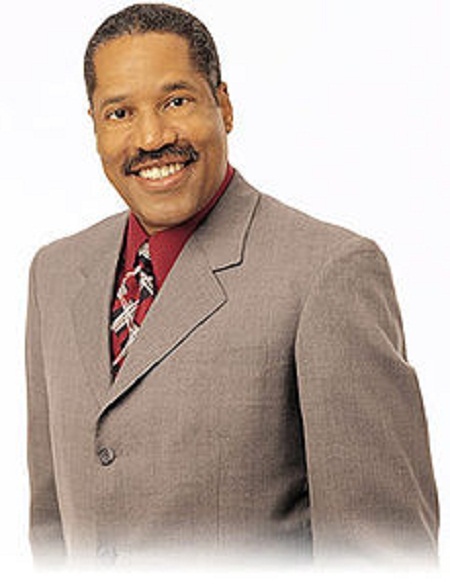 To find out more about Larry Elder, or become an “Elderado,” visit www.LarryElder.com.